Most patterns are drafted on a B cup – so if you are smaller than a B cup you may end up having trouble fitting patterns. 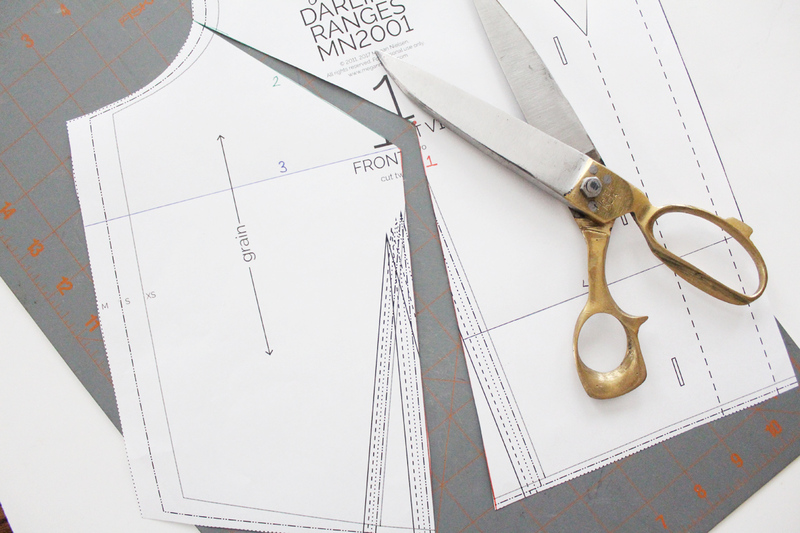 You’ll probably need to alter your pattern to get the right fit over your bust – when we’re talking about reducing the bust of a pattern that’s called a small bust adjustment. DO I NEED TO DO ONE?? 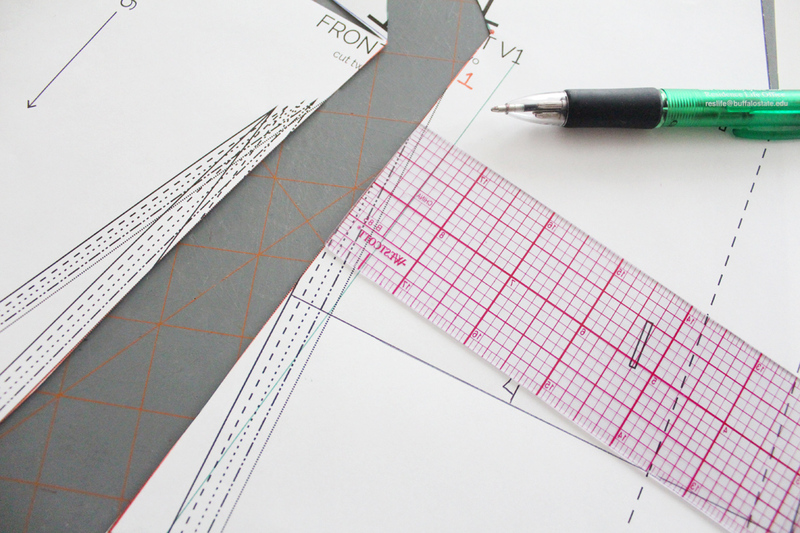 How do you know if you need to do an SBA on your pattern? Ok cool. So now we know if we need one. Shall we begin the alteration? Calculating the size of your SBA is similar to what we did this morning for FBA. It’s easy as pie. Just figure out what size you would be if you used your bust measurement – then compare it to what size you would be if you used your other measurements to determine your size. 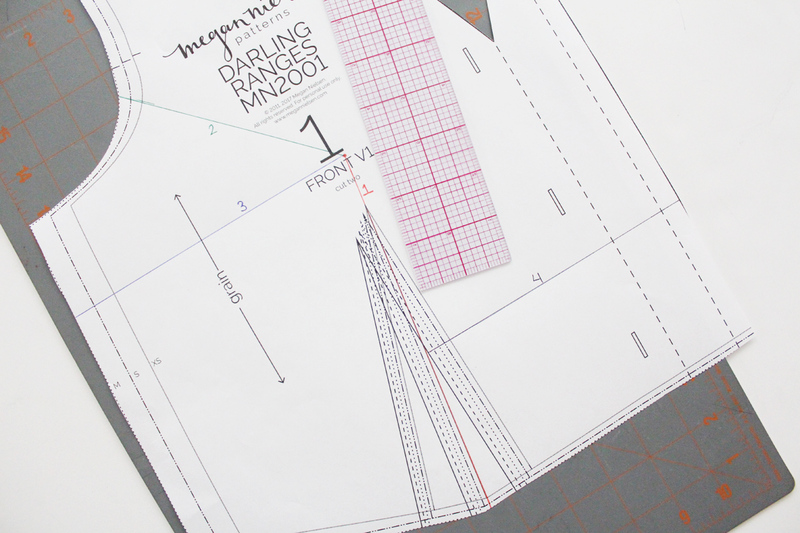 On the bodice front of the pattern, measure the distance between these sizes. This is your SBA amount! We will be reducing the bust by that much. 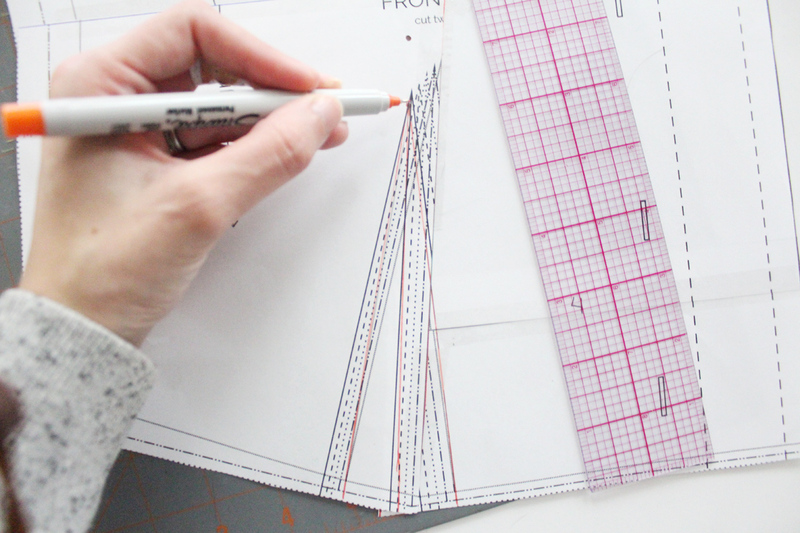 For example, if you fall in a size x-small for your bust measurement, but fit into the size small category for the rest of your measurements, then you would measure the difference between the x-small and small front pattern pieces. What ever the difference is, you would use that number as your SBA and use the small pattern piece to create it. Now the fun part. Lets draw some crazy lines all over our patterns. Kidding. They’re not crazy, they have very specific purposes. First extend the dart apex along the centre fold line by 3cm (about 1 1/8 inch). We’ll call this line 1. This should be your centre bust. Mark this point. Draw a line perpendicular to grainline about 1/2 way down the dart This line (4) should hit the Line 1 and edge of the pattern. The basic idea is that we’re going to slash along these lines to overlap our pattern to remove the extra room we don’t need. Cut Line 1 from the bottom to the centre bust, then along Line 2 armsyce, making sure not to cut completely through the pattern paper at the armsyce. We need to leave a little bit so that we can use it as a hinge. Next cut Line 3 from the side seam towards the centre bust. 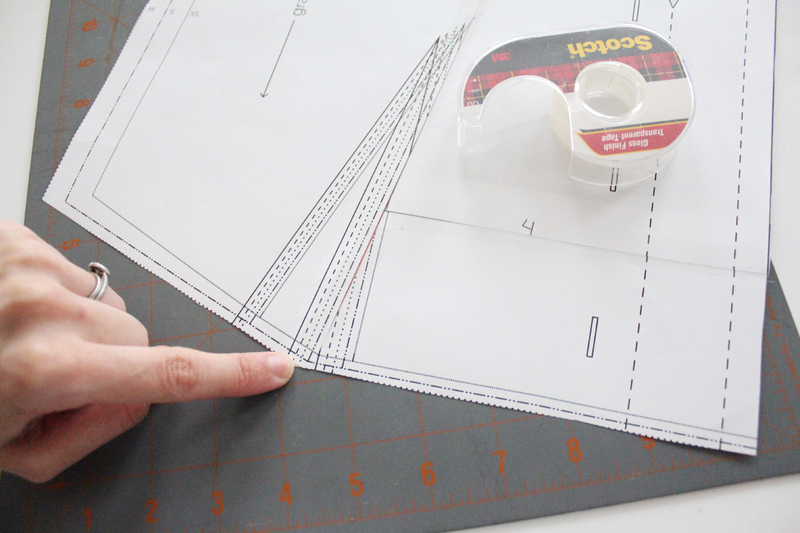 Do not cut completely through the pattern paper at the center bust. Once again, we want to leave a bit of paper to use as a hinge. Now we want to overlap the slashlines by the amount of our SBA. Keep them parallel along the grainline. I’m doing 1/2″ SBA for this example. 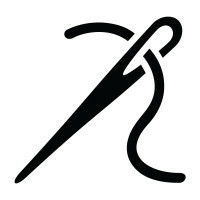 An easy way to keep it parallel, is to draw a line on the right side of the cut, and then you can easily line op the left side. (ps – this will also cause slash line 3 to overlap). Tape in place above line 4 (we’re still going to slash there). Now you’ll see that the center front is longer than the rest of the pattern. So cut all the way through line 4, and move up, overlapping, so that the waistline is even. Tape in place. Now re-draw your new smaller dart. Remember, your dart apex point is going to be hidden under your overlapped pieces. So re-mark it where you can see it. Your dart point is 3 cm (1 1/8 inch) below that. Re-draw the dart legs to this point. 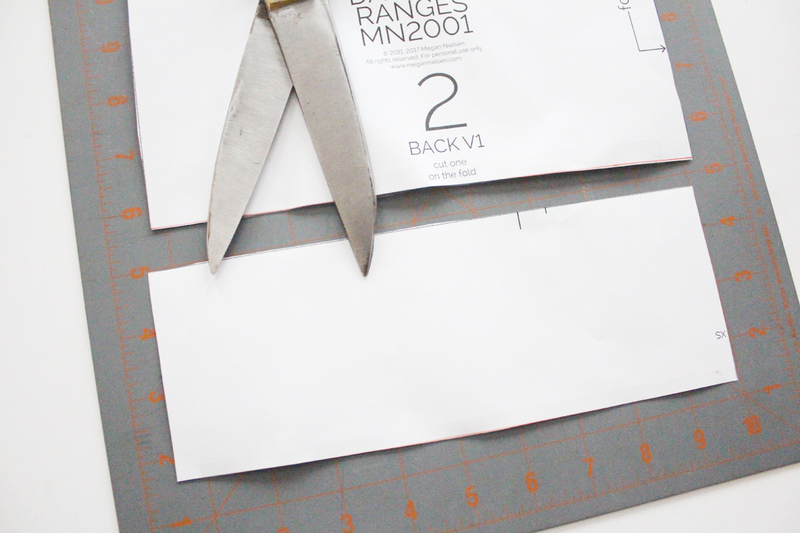 Trim any excess paper on the edge. Ok, so now your side seam is actually going to be a little bit shorter (thanks to line 3 overlapping). 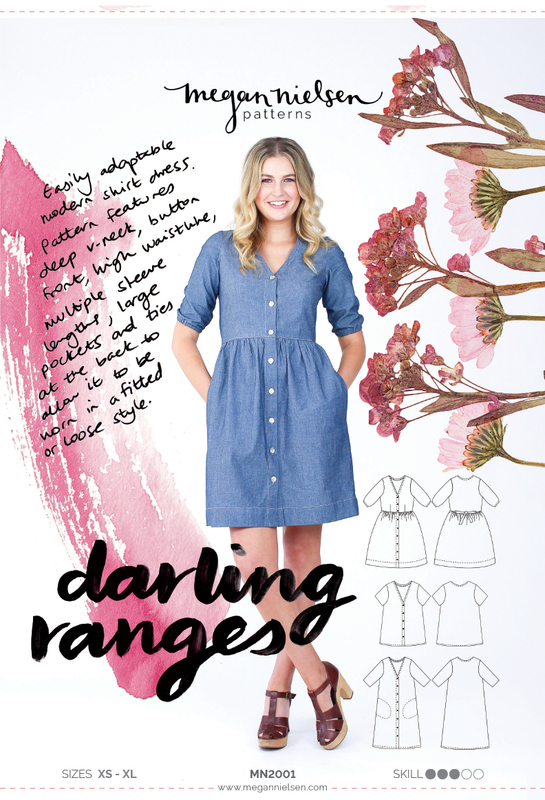 Darling Ranges already is already a shorter/high waist bodice. So a little bit shorter may not really make much difference to you. 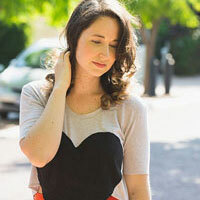 If it doesn’t bother you, than all you need to do is shorten the back bodice too to match. Draw a line perpendicular to the grain line on the back bodice piece. Cut across it, and overlap (keep it even!) so that the side seam matches up with the front side seam. Tape in place. 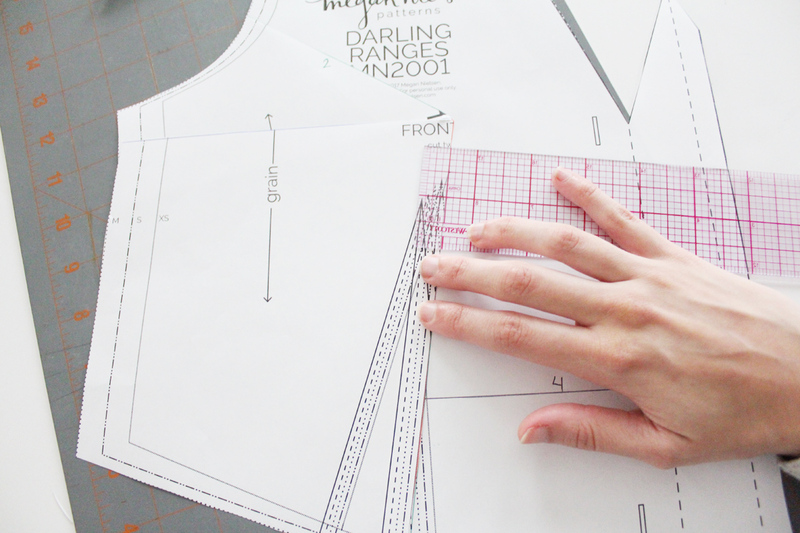 Another option, if you really don’t want the bodice any shorter, is to then lengthen the bodice using this tutorial. Thanks for covering this! I haven’t been doing SBAs but I know I should. I usually just take in at the side seams but this looks like it would work better. Thanks for not forgetting about us smaller cup ladies! 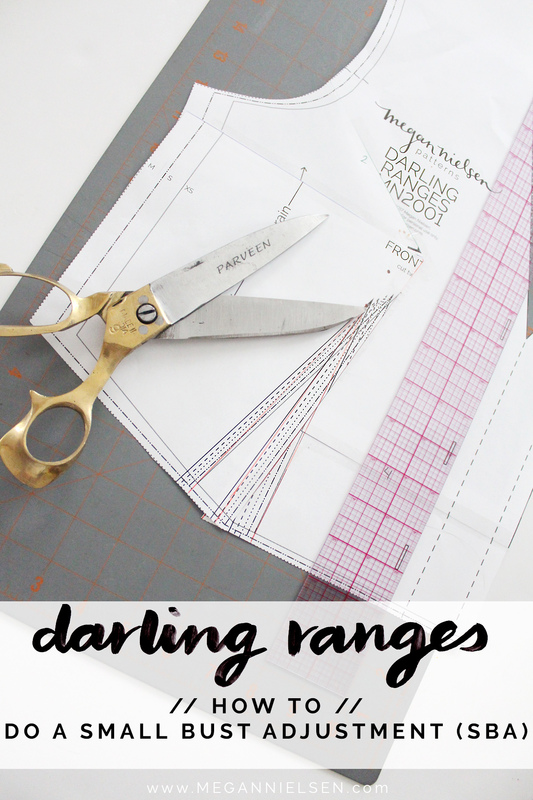 Our fit issues do get overlooked so often in the sewing world (and the real world for that matter). Best of luck with trying one in the future! Brilliant! I need to practice my sewing skills more :) Your inspiring! Hi, I think I’m slightly confused: my chest measurement is a size smaller than the hip/waist measurements in pattern size guides. But I’m a C cup in bra size so I haven’t really considered that I’d need a SBA before… At any rate, I’m looking forward to the sew along! I’m working on mine right now and just want to make sure I understand. So I’m cutting an XS in the top and a S for the bottom. My bust is 31″ compared to the 33″ on the pattern. Does this mean I need to take 2″ out of the dart? I was thinking since there are 2 darts, wouldn’t that reduce the bust by 4″ instead of 2″? Or should I do 1″ on both sides? Shona you are totally right! You’d want to divide that number by 2 – so you’d reduce each side by 1″. Sorry that wasn’t clear in the tutorial! Meg – wouldn’t this be 1/2 inch rather than 1 inch? The envelope measurements are for the whole circumference of the bust whereas the pattern piece is one quarter of that? 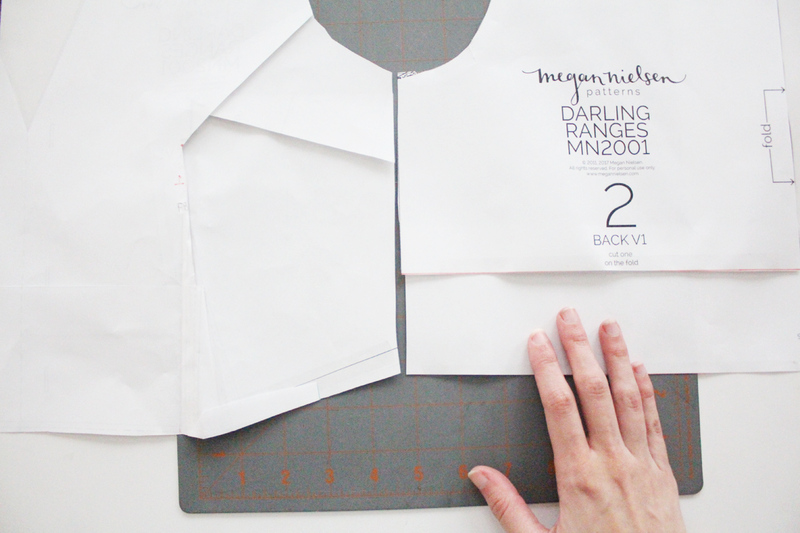 By the way have the bust sizes changed on the pattern envelope? Shona says an XS is 33″ on hers but on mine an XS is 34″. Anyway I’m having a go at my first SBA – thanks for the tutorial! Thanks for the questions! In this instance it wouldn’t be a quarter of the whole circumference since we are only altering the pattern front, not the back as well. So the difference is divided only across the front of the pattern (ie by 2). If we were adjusting the back too then we would divide by 4 :) I hope that helps! 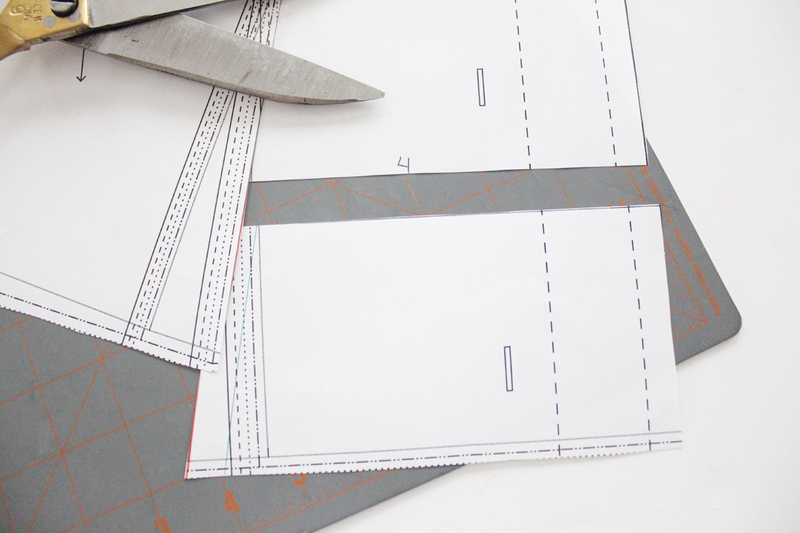 Meanwhile, with respect to the pattern sizing – the sizing hasn’t changed, but the way that it’s stated on the pattern envelope/instruction booklet has changed. We used to state our sizes as a range ie, XS was 33-34″, S was 35-36″ etc. But we found that was confusing for people, and didn’t leave enough room on the back of hte envelope for including metric measurements too. So now we just state the upper limit of the sizing. So XS is stated as 34″ (ie up to 34″) and S as 36″ (ie more than 34″ but less than 36″). I hope that helps!! Good luck with your SBA! I know it seems daunting at first, but you can do it!!! Hi Megan. Thanks for the speedy service on my order! I’ve finished my first dress and love it. Such a fabulous pattern which I highly recommend. Can I ask a question about the dart? The angle of the dart is wider than other bodice patterns I’ve used and when sewn up created quite a “pointy” look in the bust. The apex also rests at the side of the bust rather than the front. I have an average bust and the size I chose (small) fits me perfectly in every other way. I’d like to make a smaller angled, longer dart but think that it will affect the length of the bodice. If I do that, can I just adjust the bottom edge of the bodice afterwards to match? Hope this makes sense?!! 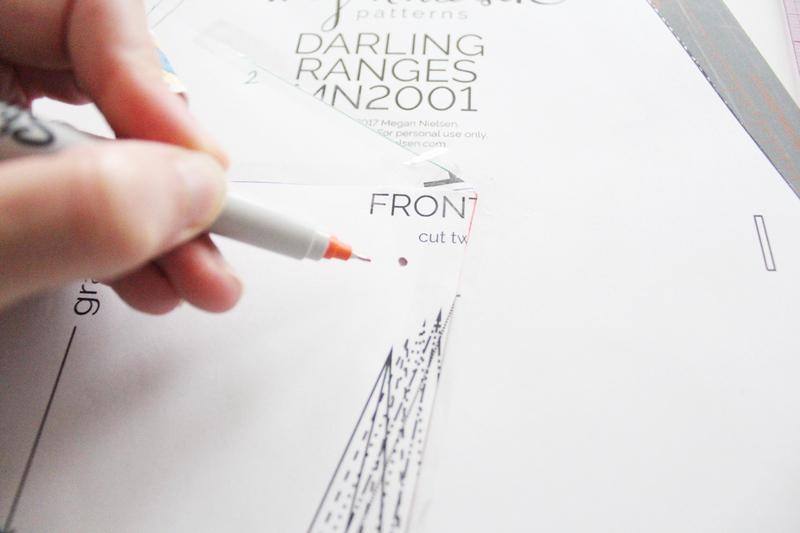 When I redraw the dart, do I redrawing it the same size as the original pattern or am I also adjusting the amount there as well? If I am adjusting it, how do I know how much? Can any one point me in the direction of advice on how to take in a shop bought item? I guess I need to put a dart in but I’m not sure where exactly, the excess fabric doesn’t seem to be where the existing dart is. Google has not been much help, results are what styles to choose and enhancement techniques. Hi! 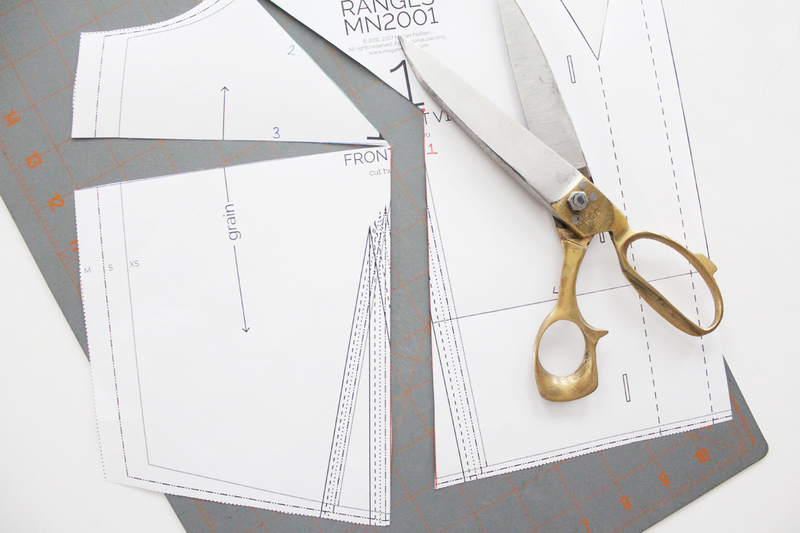 What if you don’t want to shorten the bodice or loose room at the waist and hip? I’m doing a 1/2 inch sba. It’s resulting in a 1/2 inch loss at the waist and hip. Also I’m losing about 5/8″ in bodice length and my armsye is bigger slightly due to the shift there. I haven’t cut out my fabric yet, but I did add back in the length on the side seam at the bottom and slightly at the under arm the total amount lost in the sba. Does this sound reasonable? But I’m uncomfortable with how to add it back at waist and hip. Also I redrew my darts at same size as original otherwise the sba would not have made much of an impact – right? So I’ve been reading small bust tutorials for the last year. I’ve read Colette’s, Gertie’s, and other blog posts on tissue fitting and flat pattern adjustments. THIS IS HONESTLY THE ONLY ONE THAT HASN’T MADE IT SEEM CRAZY COMPLICATED. P.S. I’m totally in love with your latest pattern collection. Trying to decide what to make first is so hard!! Hei, I have a top that has two darts around my bust and then the top ended up to be too big for me, I wont be able to cut as you do on your pattern, but I understand that from small to bigger size the darts move more open to the side of your body. So I wonder if I just have to move the darts more inside and the excess sew it in??. Its very difficult to explain :( I jope you can understand me. What if you need to go smaller than the lines in the pattern? Any tips for that? I really want to make this pattern, but I have a much smaller bust, a 30-32″ :( How can I adjust the pattern for a SBA now that the digital pattern (purchased May 2014) has been altered to have a waist dart instead of a bust dart? If anyone can help, I’d be so grateful, it’s totally confusing me how to do it!